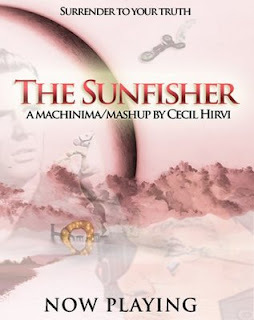 Take a look at this preview for Cecil Hirvi's new machinima, shot in the Wastelands regions of Second Life. Cecil's fifteen-minute film will be released in May. Watch here and at Cecil's blog for more information! Hey Chief! Thanks for the plug. I'll be sure to let you know when the full film gets out. "Hoo whee!" to quote Pappy Enoch. This original story about a virtual-world weary borg breaks new ground in digital storytelling and machinima-making. The 11th film in the "Saga of Cecil" canon finds our anti-hero wishing for a quick death to end his seemingly fruitless battle against petty tyrants and virtual nincompoops. Cecil Hirvi's work has been hailed as some of the best machinima work/storytelling being done in the virtual universe and this latest film continues to go where no one has gone before.